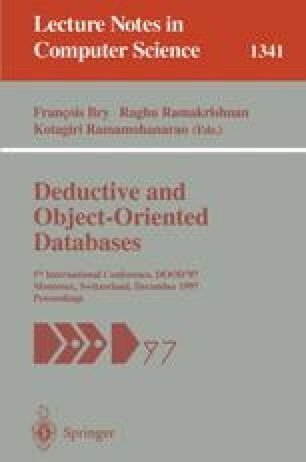 We present a well-founded semantics for deductive object-oriented database (dood) languages by applying the alternating-fixpoint characterization of the well-founded model to them. In order to compute the state sequence, states are explicitly integrated by making them first-class citizens of the underlying language. The concept is applied to Florid, an implementation of F-Logic, previously supporting only inflationary negation. Using our approach, well-founded models of F-Logic programs can be computed. The method is also applicable to arbitrary dood languages which provide a sufficiently flexible syntax and semantics. Given an implementation of the underlying database language, any program given in this language can be evaluated wrt. the well-founded semantics. Supported by grant no. GRK 184/1-97 of the Deutsche Forschungsgemeinschaft.